FRANKLIN, Tenn. — Nissan is pioneering an entirely new way to sell cars at its dealerships. Using Microsoft's Kinect for Windows technology, the Japanese carmaker is allowing shoppers to hop into a virtual 2013 Pathfinder and explore the SUV — which isn’t in showroom — using motion and natural human gestures. Officials said 16 dealers are current piloting Kinect’s natural user interface. A date for a nationwide rollout was not provided. "'Kicking the tires is a critical step in a consumer's car buying process. People want to see the cars first. It's a visceral thing. See it. Touch it. 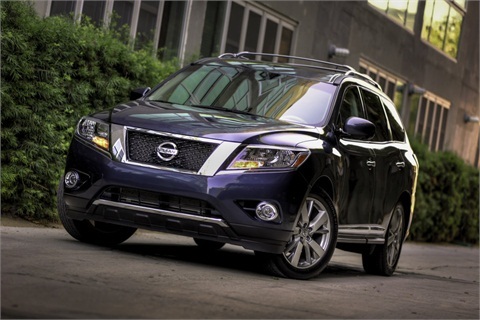 Drive it," said Jon Brancheau, vice president of marketing for Nissan North America Inc. "But what happens if the dealer doesn't have that dream car on the lot, or that car has not been produced yet? How many sales are left on the table when they can't put their customer in the desired car, and make the critical physical connection to close the deal?" Using Kinect, shoppers will be able to examine the all-new 2013 Pathfinder, which is scheduled for worldwide release this fall. Shoppers are able to view the exterior, customize colors, bend down and inspect the wheels, view the front and back, and then step inside to experience the upholstery, legroom, entertainment system, and other details. The program runs through the end of November 2012.